Since 2004 we provide one of the most professional, fast, dependable, and advanced delivery services in Ontario. We offer services at a reasonable price and always hold ourselves to the highest degree of honesty and integrity when dealing with our customers. We develop great relationships with our customers and provide them with the highest level of service. Years of experience helped us to keep everything in order. We are fast because our business is well organized. We respect your time! We arrive and finish as we scheduled before. We keep promises. Ask for references. We have repeat customers as well as other less regular happy and satisfied clients! We serve mainly GTA: Mississauga, Toronto, Brampton, Oakville, Vaughan. Presently we offer domestic Canada service and cross border shipping. We provide solution for: packing, appliance installation, full furniture setup. We help individuals and families to move to their new apartment or a house. Dealing with big and small retailers we deliver their furniture and appliances. Our reasonable prices will surprise you. Just ask for the quote. 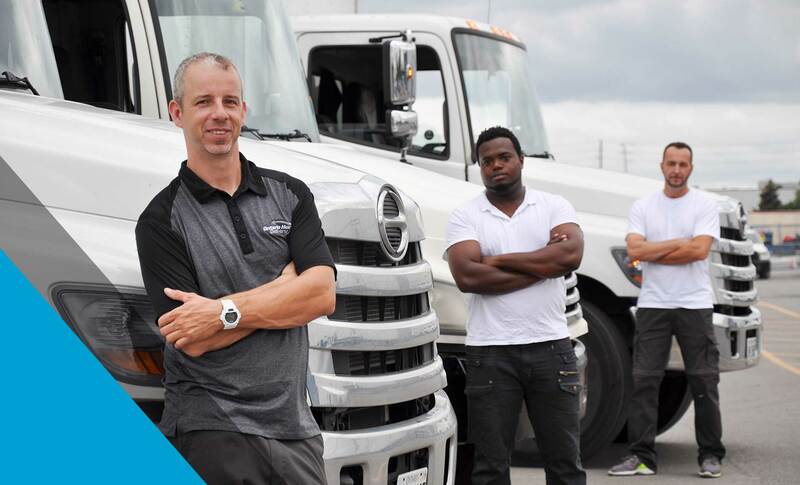 We are looking to hire new drivers and movers for our growing company!